To help promote Gareth Fareham’s new book, iAngler created a stylish and elegant website. Maintaining the books character through the website was a must for this project. With a slice of web wizardry we were able to animate the photographs, allowing viewer’s a sneak peek into the books content. 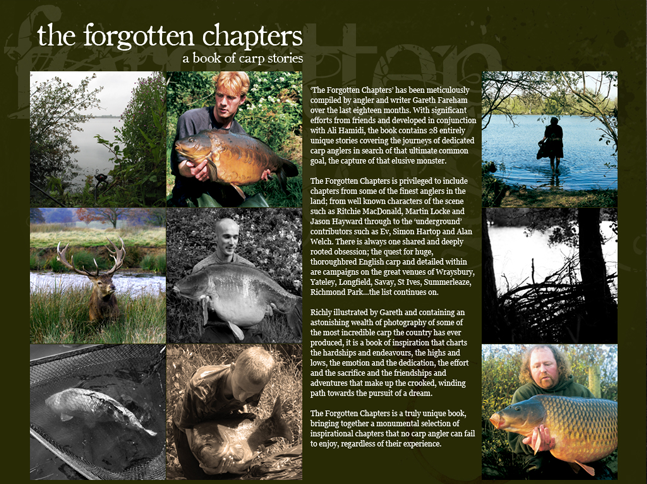 Purchase a copy of The Forgotten Chapters and delve into the minds of some of the country’s greatest angler’s.